A: Great question! For those with an underactive thyroid, it is best to gently cook greens, as opposed to eating them raw. They can be steamed, lightly sautéed, or perhaps roasted before eating as a part of your Fertility Diet or before adding to Fertility Smoothies. We suggest lightly cooking your greens so that the “goitrogens” from raw cruciferous vegetables when broken down do not interfere with the body’s natural ability to synthesize thyroid hormones and the thyroid’s ability to utilize iodine. Steaming dark green leafy vegetables is thought to prevent the possibility of both. I have read that “the scientific consensus is that cruciferous vegetables could only be detrimental to thyroid function in cases of very high intake accompanied by significant iodine deficiency.” What exactly constitutes “very high” is unknown, but we like to err on the side of caution for those with thyroid health issues and infertility. All of this is why we suggest steaming the majority of cruciferous vegetables eaten in the Fertility Diet and eating a wide variety of vegetable daily. A: No. We do not know Fertilica DIM Complete to interfere with thyroid function. One of the main food sources of DIM (diindolylmethane) is broccoli. DIM is just one part of the entire broccoli plant and is not in broccoli in therapeutic quantities. If you have low thyroid function and want to eat broccoli, it may be best to steam it rather than eat it raw (see why in the question above). And if you would like the benefits of DIM (DIM is an estrogen balancer for men and women), consider supplementing with a product like DIM Complete. 3. “Hello! I’d like to know what to do or eat specifically for pregnancy due to my low thyroid function. It is really hard to stick to a diet, plus I can’t seem to find how to eat on this site cause some sites say for instance that cabbage and broccoli should be avoided when dealing with hypothyroidism etc. What CAN we eat specifically in my condition? I really don’t get that much help with guidance from my doctors and have been to a private doctor before that couldn’t help me. All they do is check my blood samples and my medication. No good and understanding herbalist is to find near here. I’m from Stockholm, Sweden btw. 1. I currently use raw maca powder in my smoothies which I take almost daily. But, maybe it’s better with gelatinized? A: Thank you for reaching out to us! I’m sorry finding the information you are looking for has proven challenging. If you are pregnant now and needing to support thyroid health, be sure to work closely with your doctor and/or a nutritionist. If you are preparing for pregnancy, here are tips to consider. 1. Gelatinized Maca is known to be easier to digest, gentler on the digestive system, than the plain powdered Maca. It happens to be cost effective too because it’s often more concentrated than raw Maca. If you like the Maca you are using and don’t feel digestive upset, then it may be just fine. Choose organic foods when possible! Eat the proper amount of iodine – iodine-rich foods are seaweeds, raw cranberry, whole fat yogurt and raw dairy products (not in pregnancy), navy beans, strawberries and Himalayan crystal salt (not table salt). Be sure to be getting key nutrients to support thyroid function like zinc, copper, selenium, b vitamins, and vitamins E, A, and C.
About Vitex, it would be worth learning more about hormonal balance support as you prepare for pregnancy. Our experience is that women can and do often successfully support healthy thyroid function by making dietary changes and then using herbs like Vitex and Maca to support the health of the endocrine system and hormonal balance. We do have a variety of success stories (click that link) from women concerned with how thyroid health may be impacting their fertility that you may find inspiring. We are more than happy to work with you! 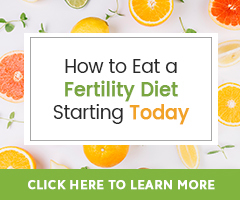 The very best way to receive a full plan designed specifically for your fertility health needs, including support in creating a diet focused on supporting thyroid function, is to have a Fertility Consultation. i was recently diagonised with hyperthyrodism and i am having scanty periods.what can i do naturally to resucitate my menses? 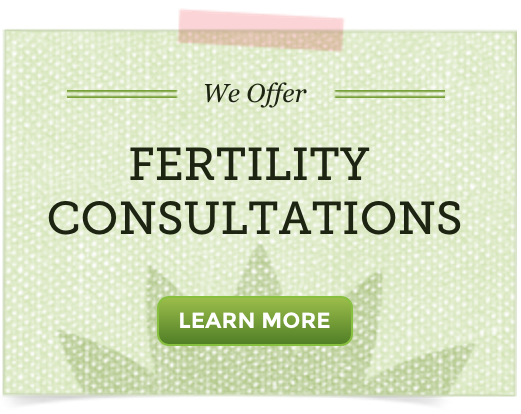 We are more than happy to work with you to create a full plan designed specifically for your fertility health needs. We offer this through a Fertility Consultation if interested.